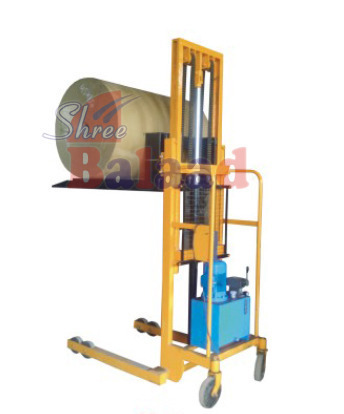 Pioneers in the industry, we offer roller-drum stacker, semi battery operate stacker, fully electric stacker, hydraulic hand stacker, electric hydraulic stacker and paper-plastic reel manual stacker from India. Available capacity From 300 Kgs to 1000 Kgs. Available lifting height Single Mast, Double Masts, Triple masts from 200 mm-6000 mm. Available Options Manual, Electric operated & Battery operated. 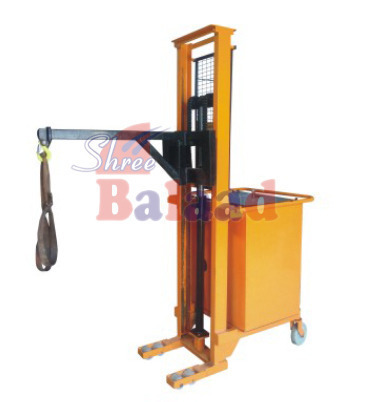 These hydraulic drum stackers are suitable for lifting, shifting of all 210 liters plastic & M.S. drum handling needs. Moreover, they are provided with UHMW rollers for easy faucet positioning of drums and can be easily handled by one person. Available capacity : From 300 Kgs to 1000 Kgs. Available lifting height : Single Mast, Double Masts, Triple masts from 200 mm-6000 mm. Available Options : manual, Electric operated & Battery operated. 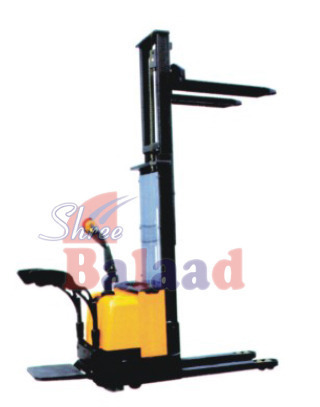 Choice : special fork length, width, wheels & capacity as per requirement. Available capacity 1000 kgs to 3000 kgs. 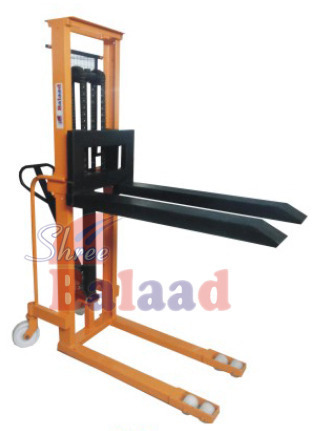 Backed by our rich industrial experience in this domain, we are devotedly engaged in offering wide assortment of Semi Battery Operate Stacker. Loading and unloading trucks, stocking shelves, die and mold handling. 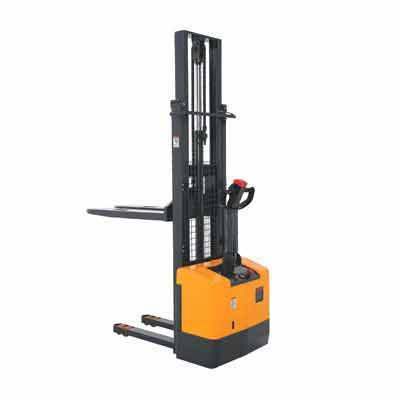 This stacker lifts loads with Battery operate hydraulic 12 v dc powerpack. The Stacker will be mobile, with easy push or pull by hand. Safe ergonomic alternative to fork trucks at a fraction of the cost. Engineered for smooth operation and outstanding durability. 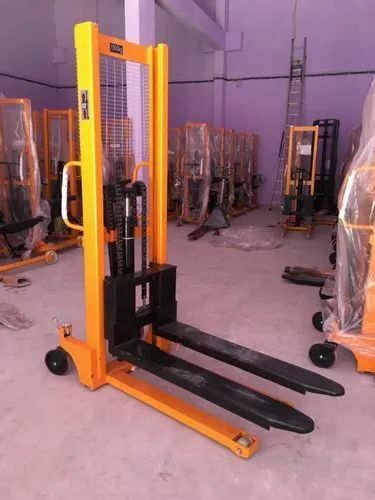 Available capacity: From 500 Kgs to 1500 Kgs. Available lifting height: Mono and Telescopic masts from 1000 mm - 4000 mm. 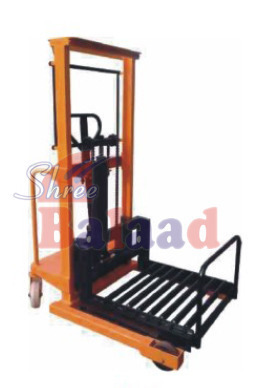 With our years of experience, we have been engaged in proffering excellent quality Fully Electric Stacker. 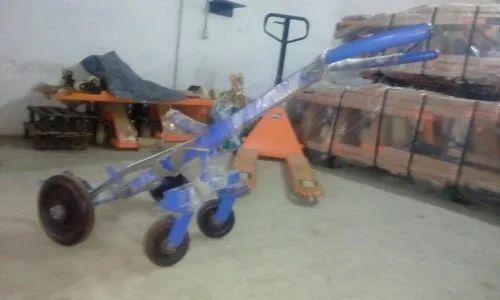 AC Motor eliminates replacement of carbon brush. Multi-function display: battery power, fault code, hour meter and speed level. Damping cushion for low-noise operation. Emergency reversing device in the handle provides higher safety for the whole operation. Auto deceleration function makes operation more safely. Low center of gravity ensures the stable operation. Hall element reduces wear components, resulting in increased component life. 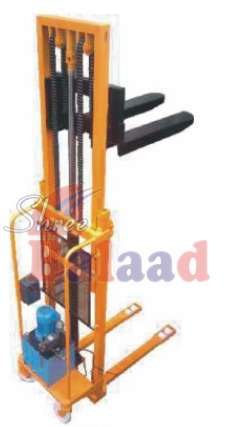 We are vigorously dedicated towards developing, trading and supplying of a quality approved assortment of Hydraulic Hand Stacker. This stacker lifts loads with manual hydraulic PUMP. Available capacity: From 500 Kgs to 2500 Kgs. This stacker lifts loads with Electric hydraulic powerpack. 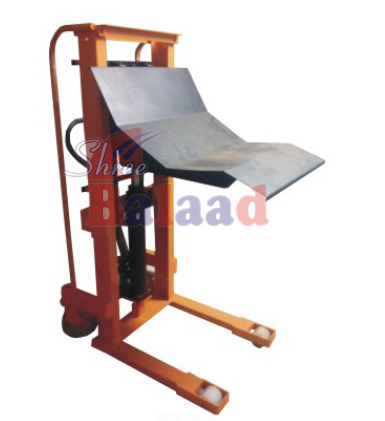 For lifting of Plastics Rolls, Paper Reels, Cloth Rolls, etc. 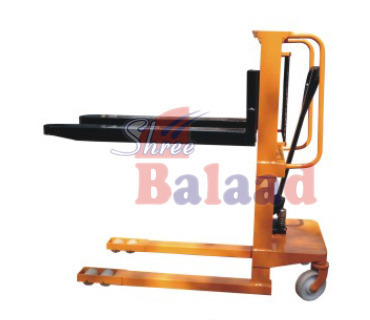 Ideal for handling anything which rolls and required to lift. 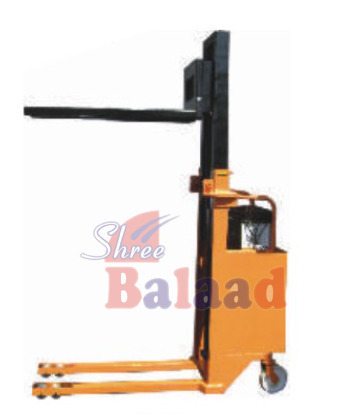 Available capacity: From 250 kgs to 1500 Kgs. Lifting Height: From 600 mm to 2000 mm. Available options: Electric operated & manual operated. Lifting Height: From 600 mm to 3500 mm. Available options: Electric operated & manual & Battery operated. With the aid of advanced machines and tools, we have been able to manufacture, supply and export a wide range of Battery Operated Hydraulic Stackers. The high-grade raw material is sourced from the authentic vendors of the market to manufacture these stackers in compliance with set industry standards and norms. 1000 kgs to 3000 kgs. Loading and unloading job from trucks, die and mold Litting & handling . Engineered for smooth operation and outstanding durability. Available capacity: From 500 Kgs / 1000 Kgs. Available lifting height: Mono and Telescopic masts from 1000 mm - 3000 mm.